And it works in just 20 minutes. Nootropics, broadly speaking, are substances that can safely enhance cognitive performance. They’re a group of (as yet unclassified) research chemicals, over-the-counter supplements, and a few prescription drugs, taken in various combinations—that are neither addictive nor harmful, and don’t come laden down with side-effects—that are basically meant to improve your brain’s ability to think. Right now, it’s not entirely clear how nootropics as a group work, for several reasons. How effective any one component of a nootropic supplement (or a stack) is depends on many factors, including the neurochemistry of the user, which is connected to genes, mood, sleep patterns, weight, and other characteristics. However, there are some startups creating and selling nootropics that have research scientists on their teams, with the aim of offering reliable, proven cognitive enhancers. Qualia is one such nootropic. This 42 ingredient supplement stack is created by the Neurohacker Collective, a group that boasts an interdisciplinary research team including Sara Adães, who has a PhD in neuroscience and Jon Wilkins, a Harvard PhD in biophysics. 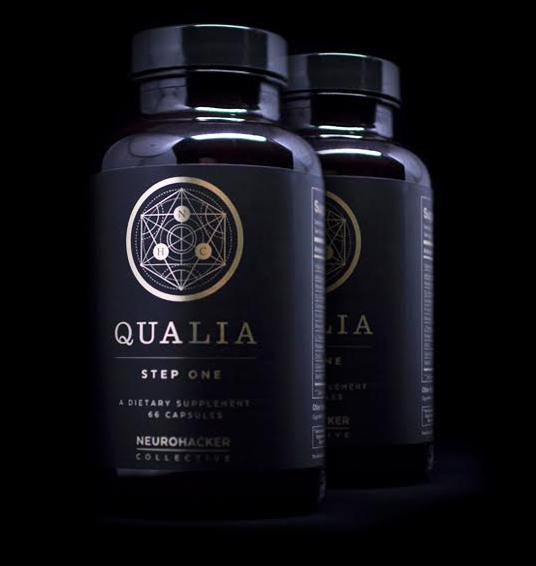 Some of Qualia’s ingredients are found in other stacks: Noopept, for example, and Vitamin B complex are some of the usual suspects in nootropics. Green tea extract, L-Theanine, Taurine, and Gingko Biloba are also familiar to many users, although many of the other components might stray into the exotic for most of us. Mucuna Pruriens, for example, is a source of L-Dopa, which crosses the blood–brain barrier, to increase concentrations of dopamine in the brain; L-Dopa is commonly used to treat dopamine-responsive dystonia and Parkinson’s disease. The website says that the ‘smart drug’ is designed to provide users with “immediate, noticeable uplift of [their] subjective experience within 20 minutes of taking it, as well as long-term benefits to [their] neurology and overall physiologic functioning.” For people climbing their way up in Silicon Valley, it’s a small price to pay. What would you do with 10 percent more productivity, time, income, or intelligence? Note: Futurism curates the products that could help reshape our world. Here, we have partnered with the team behind Qualia in order to offer readers a 10% discount using the coupon code ‘futurism’. Futurism also has affiliate partnerships, so we may get a share of the revenue from purchases. Productivity in a Pill: Should You Take “Smart Drugs”?